Three at one time. This season is certainly not like the last few. 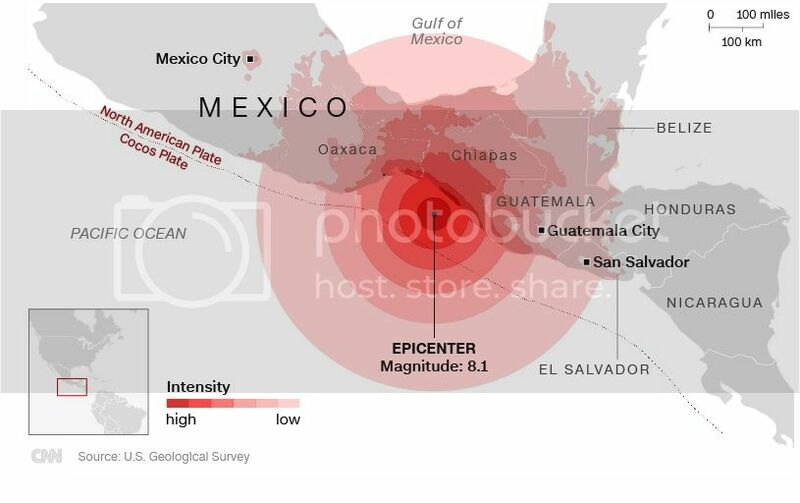 ...And last night a powerful 8.1 magnitude earthquake struck Mexico with lots of damage and last report was 32 dead. Katia is quickly weakening now that she's inland so we'll go ahead and end this thread.